Ribbon. Gorgeous Pushing the Limits ribbon and bookmark that I got from Katie. <3 Thank you so much. Movies. Most of these were on sale. <3 And I have to have all the Disney classics on blu-ray. I just have to, hih. Love so many of these. <3 Haven't seen all of them yet. :) I won Solan og Ludvig + Børning + The Fault in Our Stars from Platekompaniet here in Norway :D I won 8 movies, some aren't out yet, coming soon. So so excited, hih. I think I need to re-watch Noah very soon. I loved that one. I'm glad that to hear that you are doing a lil better at least! 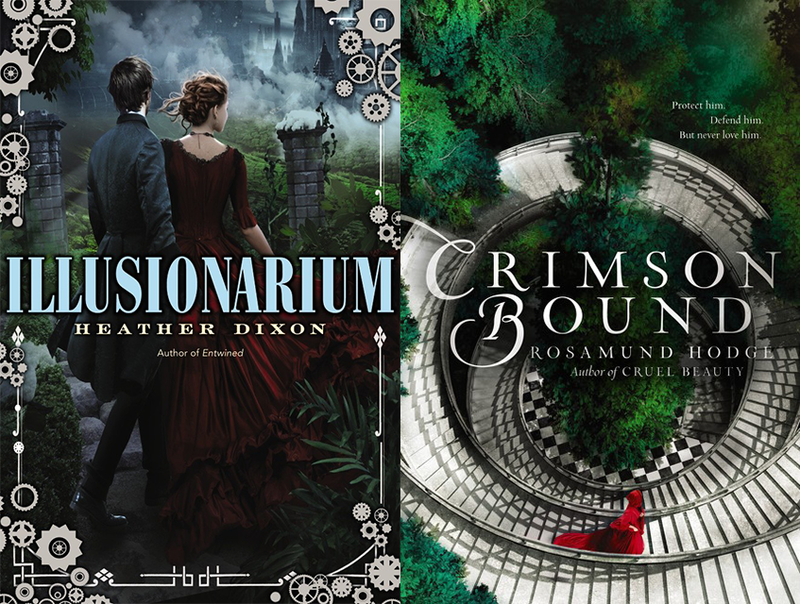 Crimson Bound and Illusionarium!! I requested them in EW, and I'm hoping to get approved, crossing my fingers! Illusionarium has a great cover. Your books look really good. 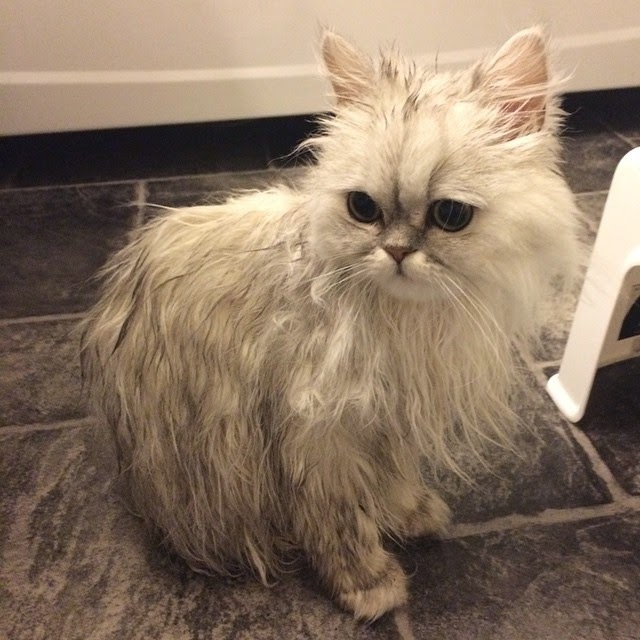 The Cat looks upset. Great haul. I LOVE Disney movies!! I still watch them even when my kids aren't around...lol!! They're classics, and a big part of my childhood!! Awesome haul too!! CRIMSON BOUND looks really good!! I hope you enjoy all your new goodies. I also got Crimson Bound and Illusionarium - as you know. So glad that you loved This Night So Dark and This Shattered World as well! :D I hope you enjoy all of your new books! Hmmm, something you could post weekly about. Perhaps personal stuff? 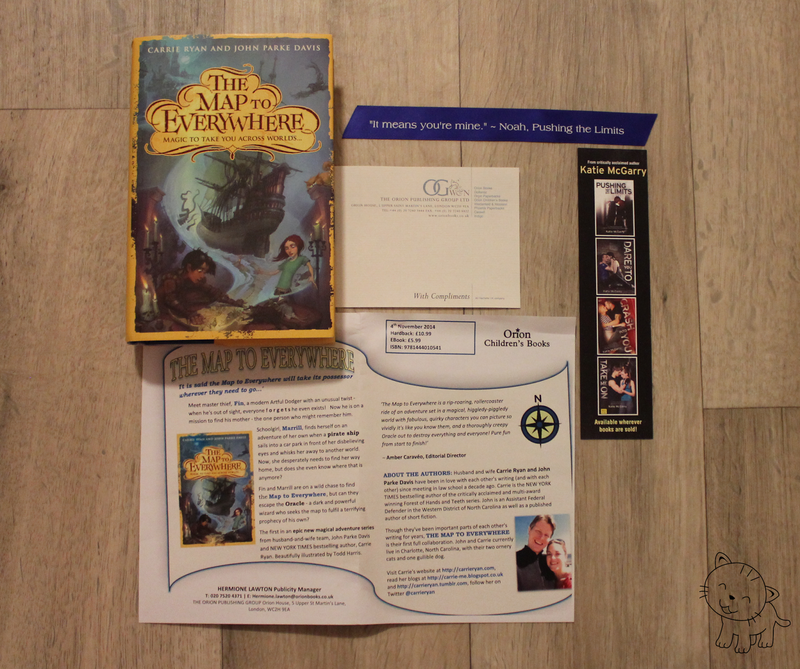 The map to everywhere sounds great and I loved Carrie Ryan's zombie series. 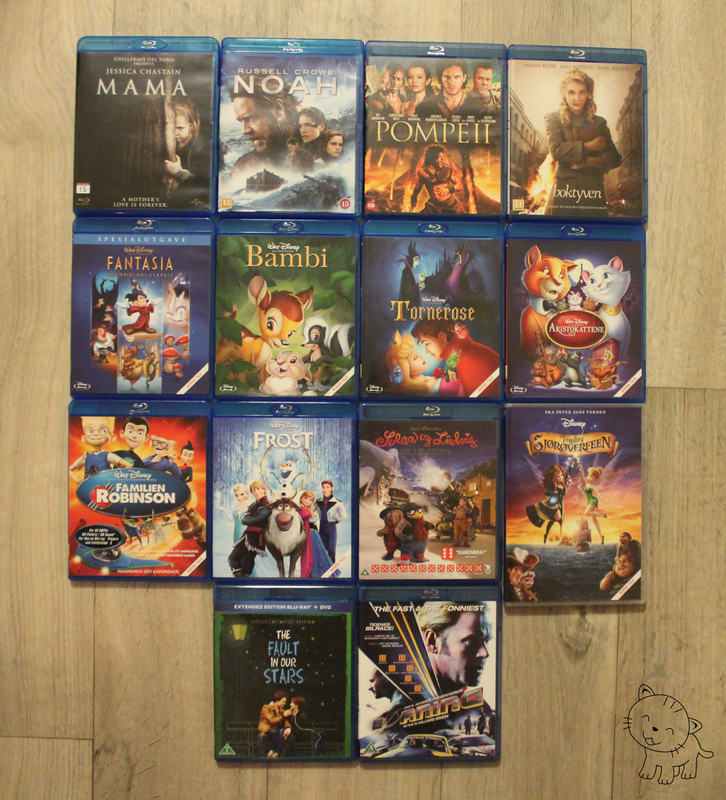 All your blu-ray DVD's *drool* I got the same books from Edelweiss, I'm so excited :D Happy reading and I hope you feel a little better soon. I didn't get any books at all this week. I should've taken a page from your blog and posted movies that I bought this week (The Host, If I Stay, The Fault...). Have a great week, hun. I hope you'll feel better soon. I reeeally hope I am approved for Illusionarium! Fingers crossed! Crimson Bound sounds really awesome too. I hope you love them. I might need to find out what bothered you about the end. SO CURIOUS. I've yet to DL Crimson yet because I wanted to hear other's thoughts beforehand since I was iffy on the last book. I'm reading Illusionarium as you know and we've talked a bit about it. We'll see how it goes. I want both books to be amazing! I'm glad you've done a bit better this week and I hope next week improves even more. Yay movies! seen a lot of crimson bound and sounds like it will be a good read. Hope you enjoy and have a good week and happy thanksgiving.